Current ongoing initiatives with the purpose of making Puerto Rico even more Yarari. Who doesn’t like to travel? Everybody does. Puerto Ricans are no exception. As much as we love our 100 x 35 miles of tropical paradise we love to get on a plane and leave it behind, even if it’s just for a couple of weeks. And it just so happens that Puerto Ricans bring their patriotism wherever they go. In honor of this loyalty, some Puerto Ricans like to bring the flag with them when they travel the world. Proyecto Mundial Bonita Bandera is a virtual space where Puerto Ricans can share pictures of them taking the Puerto Rican flag to different parts of the world. Founded by Andrés O’Neill Jr. (local reporter), the page has grown exponentially since it first appeared. It turns out our race has spread everywhere… even the most remote and unlikely places. For all the cool stuff posted on this page, Proyecto Mundial Bonita Bandera is definitely Yarari! Tourism doesn’t always entail crisp blue beaches with white sands and Piña Coladas. Sometimes you travel to get to know the culture of a place; sometimes it’s business, sometimes traveling happens for medical reasons, and believe it or not, many times traveling happens for educational reasons. In fact, I’m willing to bet it’s actually the second or third reason for travel. Plenty of people visit a particular city just to attend a seminar or special training. Puerto Rico actually holds a wealth of technological knowledge that goes mostly unnoticed. The Mayagüez Campus of the University of Puerto Rico trains engineers that get recruited by NASA and the likes. The truth is people are distracted by the pretty beauty queens, the declining economy, and all the dancing, but behind all that glam, the nerds are actually making a big difference. DevTitans is a new initiative that brings together all the programmers, digital designers, and all around tech lovers of Puerto Rico to provide free training to anyone who wishes to learn about web applications, writing code, digital design, programming, and cloud services. The demand for such services is increasing, so DevTitans is seeking to place Puerto Rico as a Mecca of technological travel, training, and recruitment. Starting today, trainings will take place at the Microsoft Offices in Guaynabo and will be available twice a month. So basically, any time is a good time for a Tech Trip to Puerto Rico. After the seminar… feel free to enjoy those Piña Coladas at the beach. Sounds like two birds with one stone: Knowledge enhancement and tropical fun. Go DevTitans! Although still in developmental stages, ComuniHack is already lining up community members, volunteers, and non-profit organizations like The Boys and Girls Club in order to make this dream a reality. 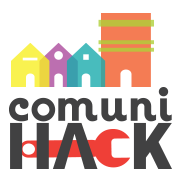 As soon as August of 2014 a rough draft of the first ComuniHACK (Santurce) will be around. If you’d like to know more, here’s a link to their proposal and their Facebook like page.